Sleek modern style defines this classic Calico Designs Ashwood Homeroom Desk & Bench. Featuring a graphite metal frame and warm wood finish, this set perfectly complements minimalist décor. The wide rectangular work surface provides ample space for projects. The pencil drawer keeps your supplies organized, and the bench offers a comfortable seating option. 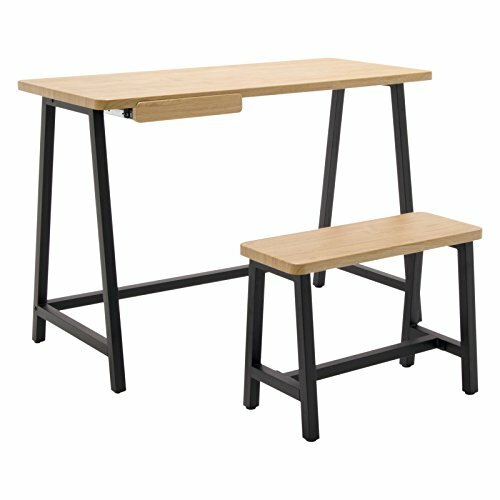 Desk dimensions: 43.25W x 19.75D x 30.25H in. Bench dimensions: 23.5W x 9.5D x 17H in.